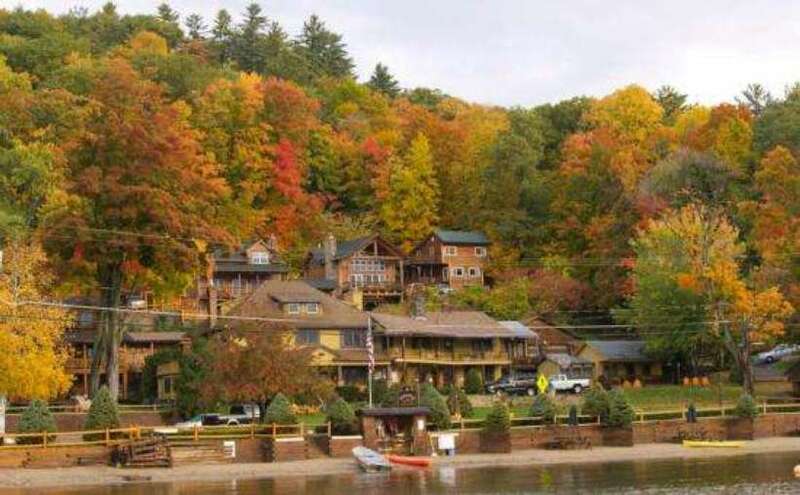 Located on the peaceful northern shores of Lake George, Trout House Village Resort features exquisite handcrafted log cabins, cottages, and a 9 Bedroom Country Inn. 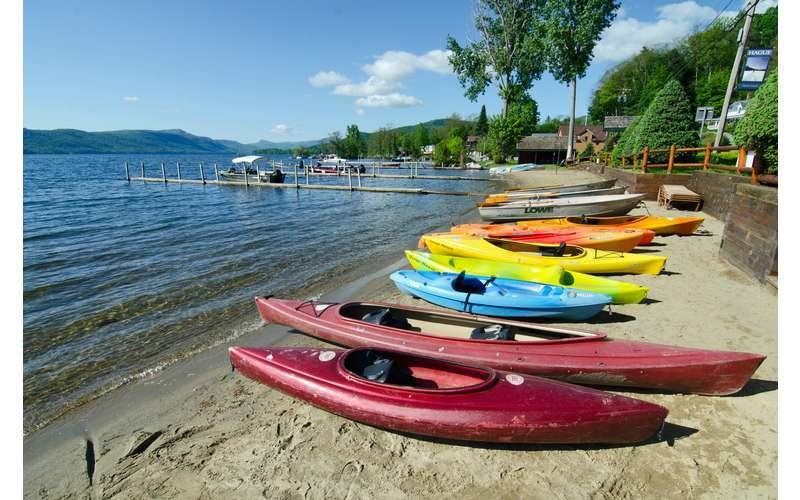 Our 400' sandy beach offers rowboats, canoes, kayaks, paddleboats, and sailboats. 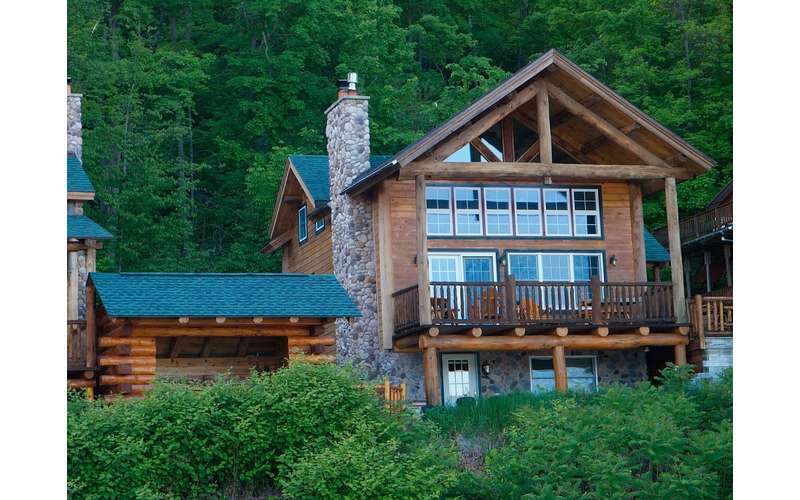 Experience the ultimate in Adirondack luxury in one of our amazing log cabin chalets! 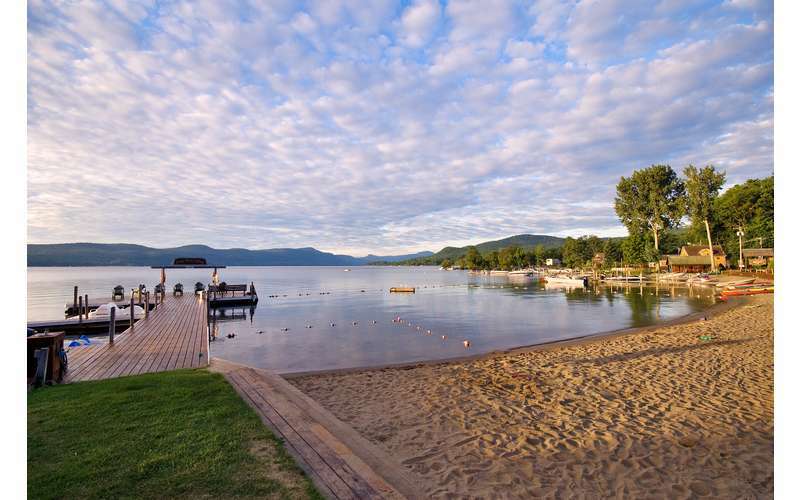 Located on the Northern end of Lake George! 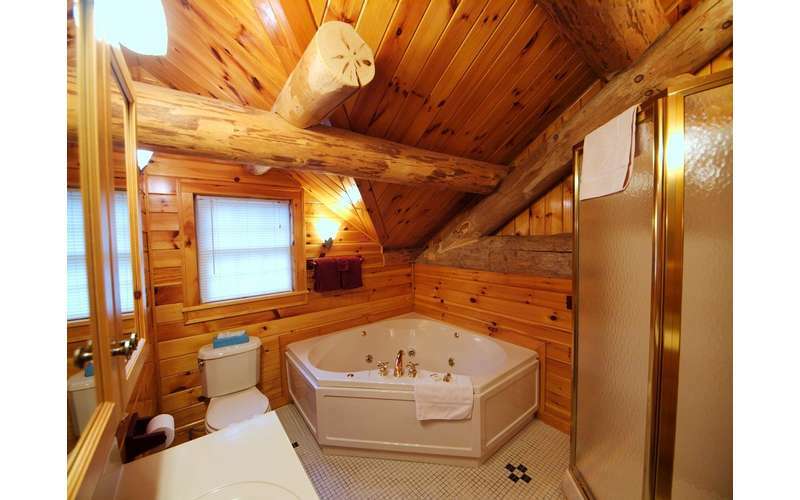 Exquisite, handcrafted log detail and magnificently appointed interiors abound! 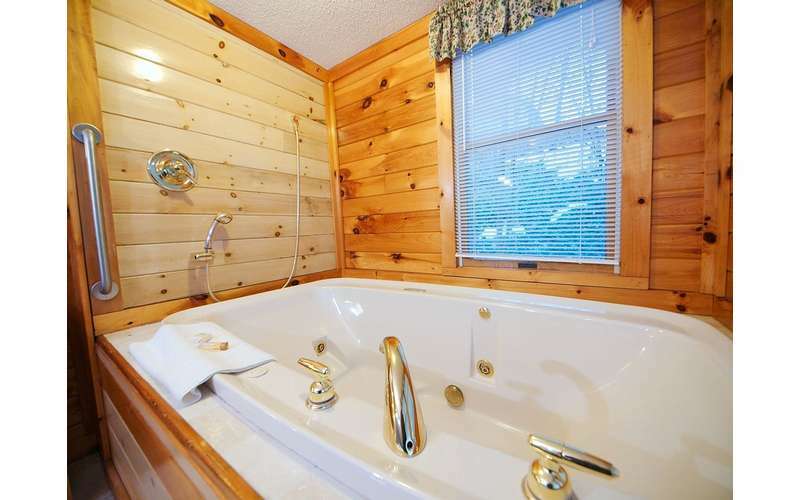 A kindling fireplace and indulgent jet tub await your arrival. 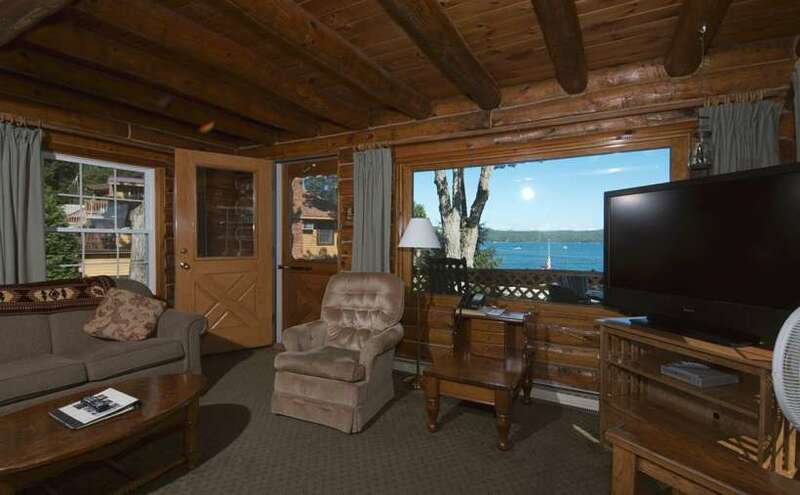 Waken to spectacular sunrises and unwind to magical starlit evenings from your lakeside porch. 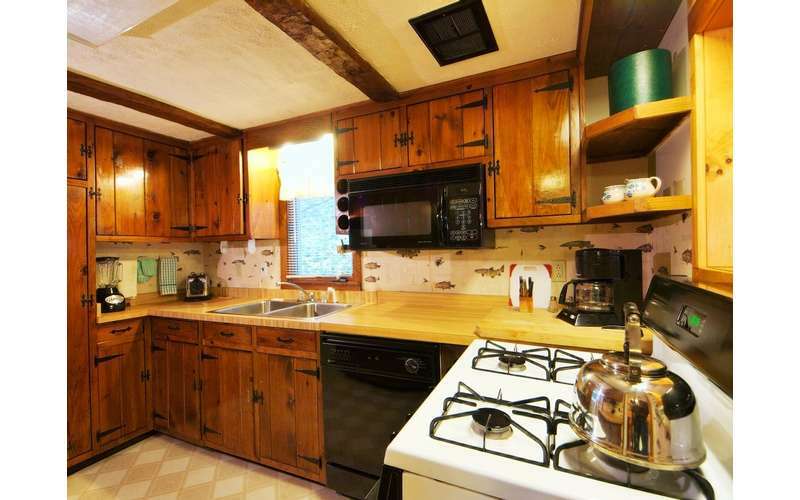 Famalies will be thrilled with their cabin's spaciousness and wonderfully equipped kitchens. 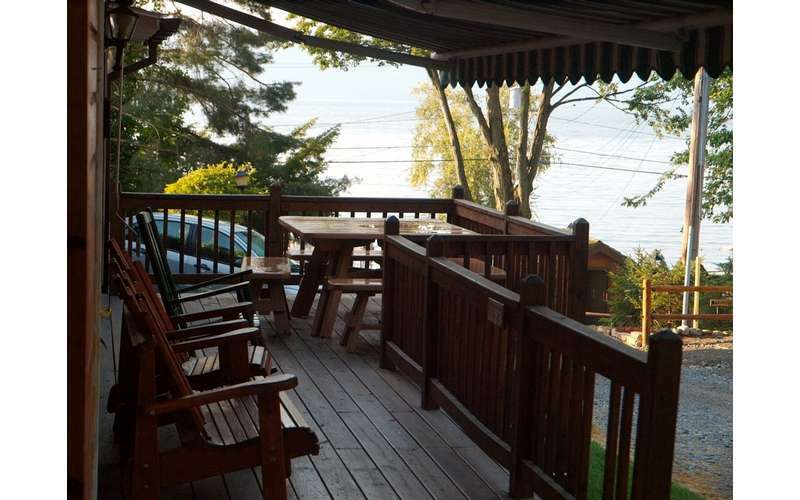 Weber grills and picnic tables are right outside your door. 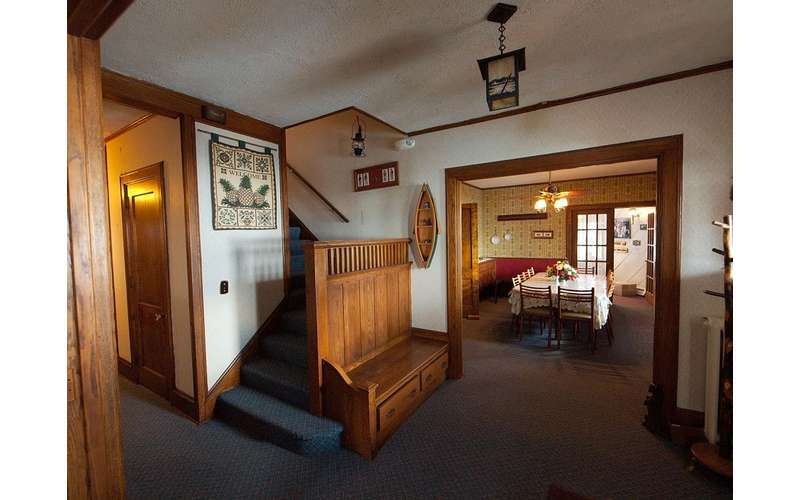 Unrivaled quality, charm and beauty will have you coming back time and time again. Visit our Web site or give us a call for more information. 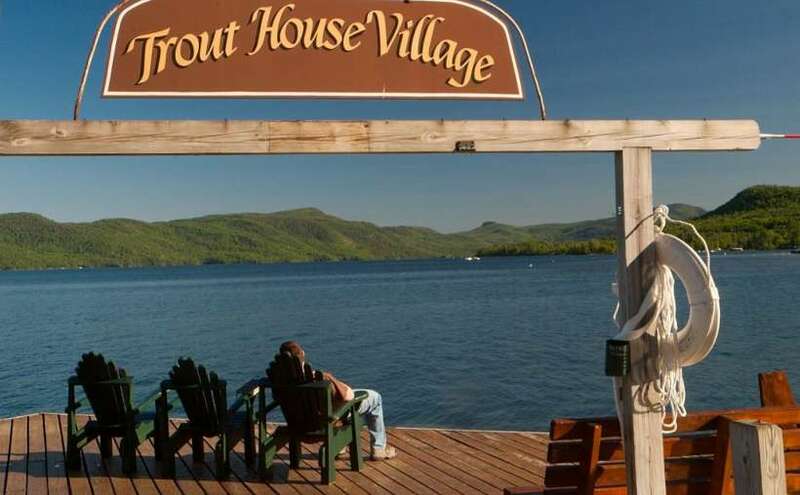 The Trout House Village Resort is a clean and friendly place to stay and enjoy the absolutely beautiful views of Lake George. The Inn Keeper Alice is so helpful in recommending delicicious places to eat and interesting places to visit. We will definetely stay there again. 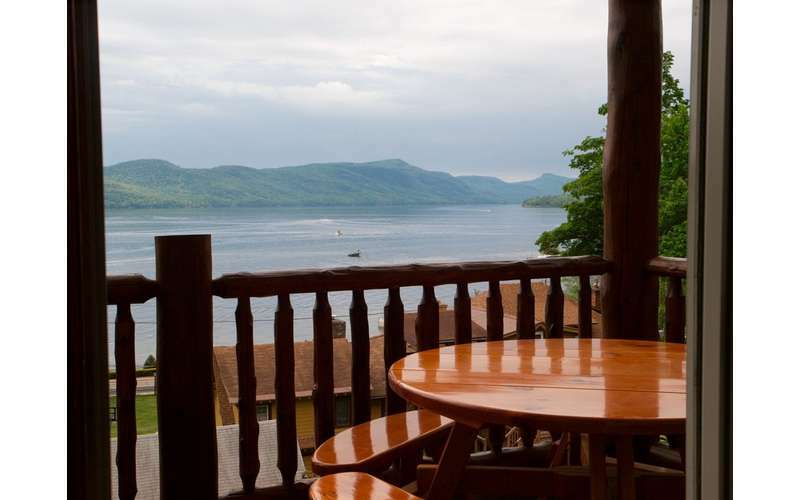 The Adirondack and Lake George regions are known for outdoor recreational opportunities, scenic views, and superb lodging options - especially exquisite handcrafted log cabin chalets. 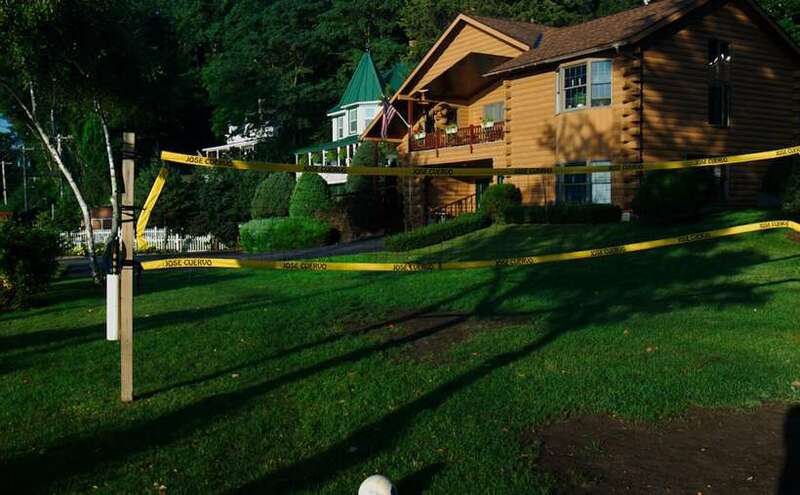 Do you typically look for lodging deals on hotels.com or booking.com? You're missing out! 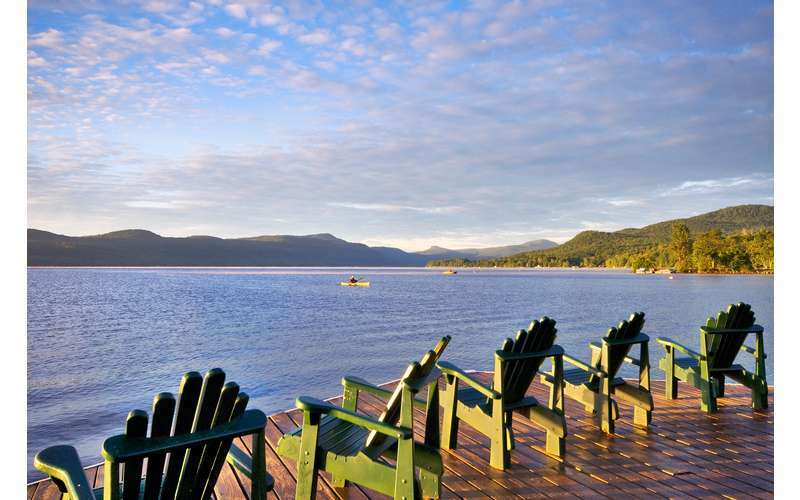 Lake George has a number of hidden gem resorts that you can't book through travel websites! 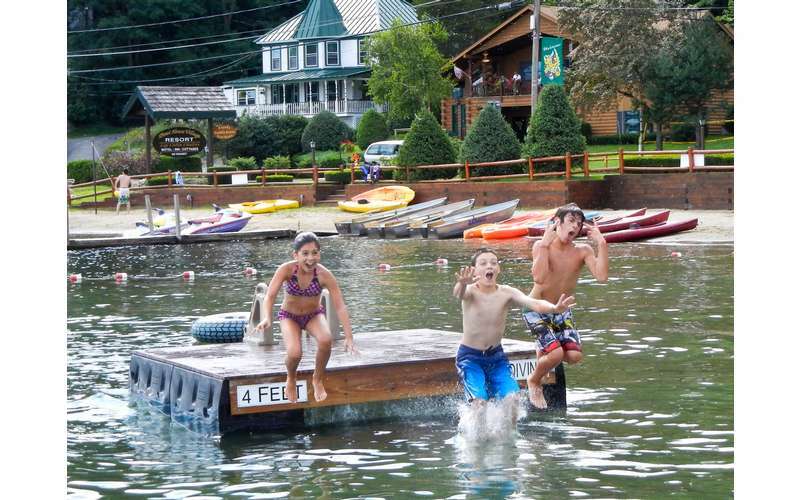 For these true treasures you'll have to book directly with the resort itself, instead of through a third party site. 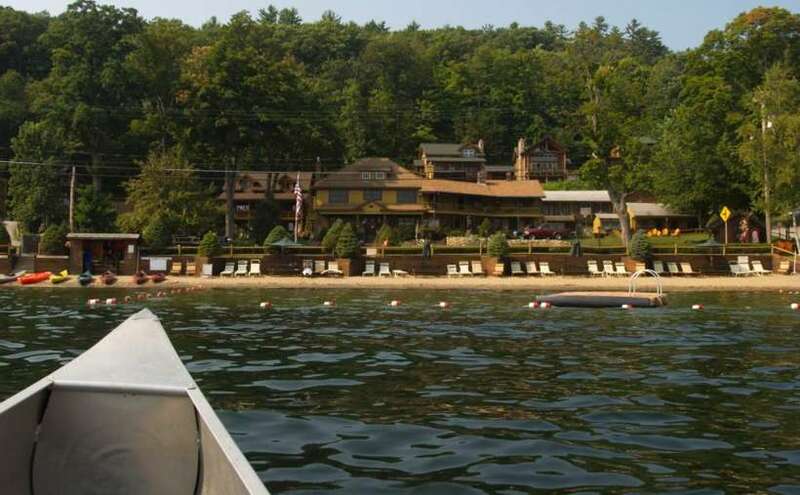 Calling the hotels or booking online through their website will get you the best rates, and, you may find deals on LakeGeorge.com you can't find anywhere else. 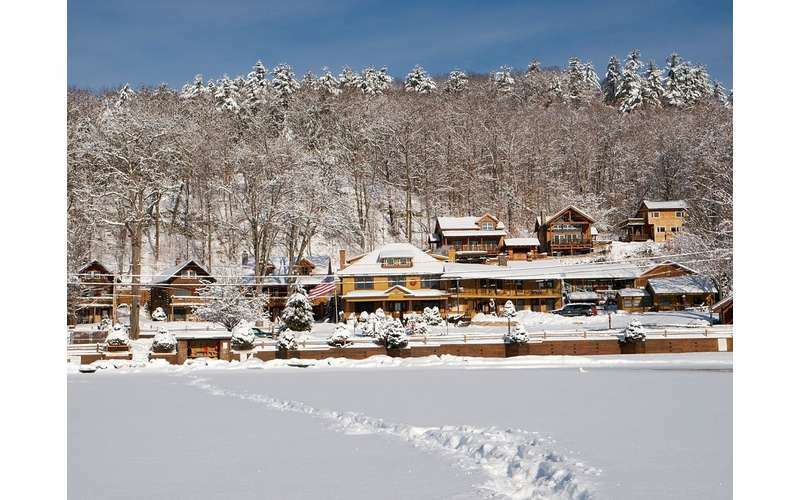 Craving a winter getaway with your sweetheart? 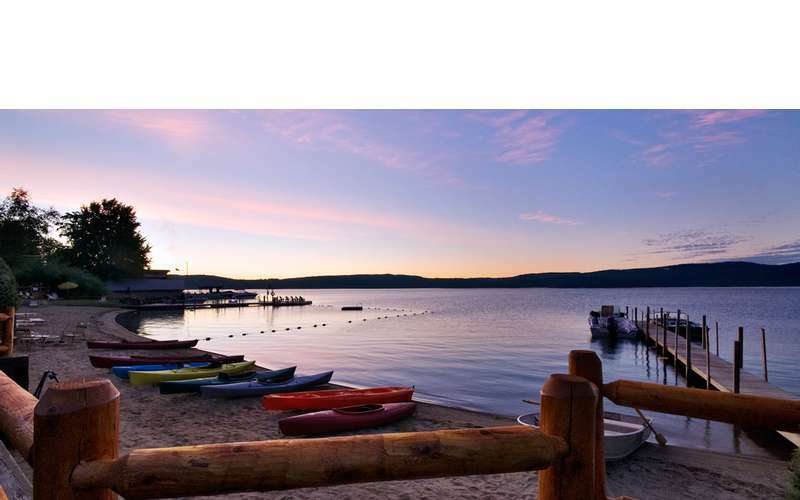 Valentine's Day is the perfect time to plan your romantic weekend in Lake George. 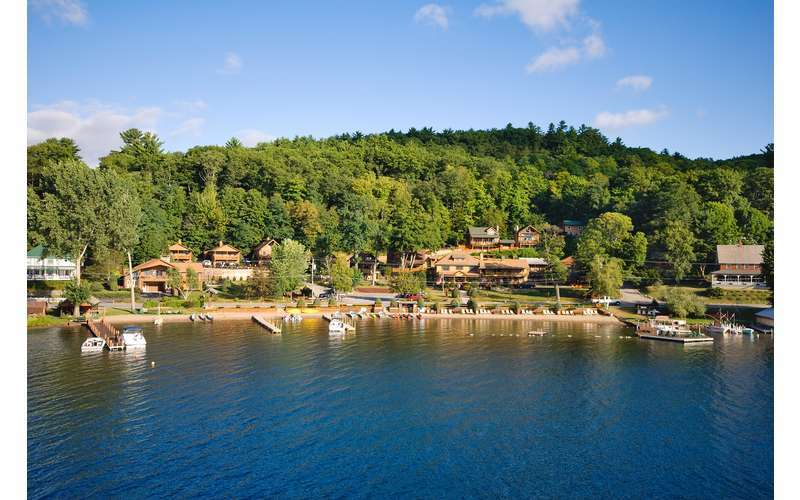 Here are some excellent romantic lodging options! 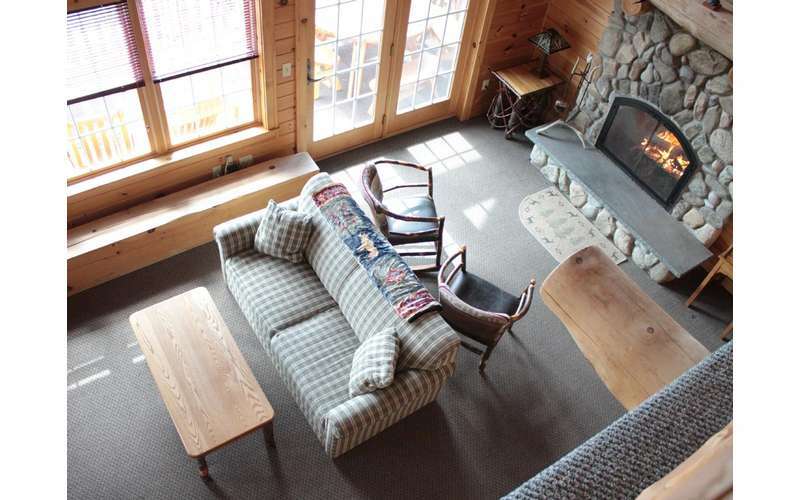 Avoid the winter blues this season by embarking on a getaway to the pristine Adirondacks - yes, in the winter! You don't have to travel far to get the peace and quiet you're seeking, and if you're up for it, you can add a little adventure into the mix as well.